Professor Alan Bensoussan is Director of the National Institute of Complementary Medicine at the University of Western Sydney. He is one of Australia’s prominent researchers in complementary medicine and has been in clinical practice for 25 years. He is Chair of the Australian Therapeutic Goods Administration’s Advisory Committee for Complementary Medicines and served on the National Medicines Policy Committee (2008-11). He also serves with the Singapore Health Sciences Authority Expert Panel for Herbal Medicines and as a consultant in traditional medicine to the World Health Organisation. 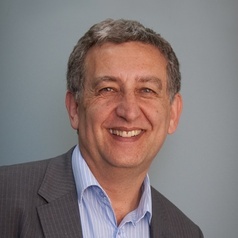 Professor Bensoussan’s research contributions, particularly his clinical trials and public health research in Chinese medicine, have been widely reported and led to the national regulation of Chinese medicine practitioners in Australia in 2012.